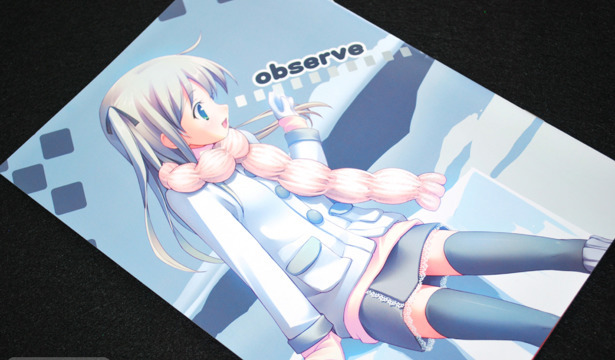 Takoyaki's moe girl styling strikes again in another full color illustration collection called Observe, released at this past Comiket 77. Takoyaki is really one of the few artists out that that seems to be able to consistently deliver a full color illustration doujinshi each Comiket, and the quality is as always top notch. 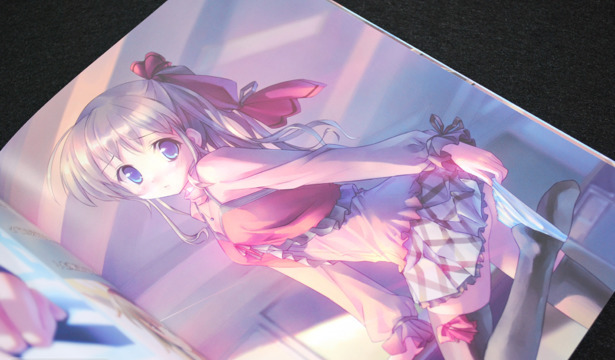 When I buy older art books and doujinshi, it can really be a mixed bag. On the one hand, I can see the artist's progression, and sometimes even different styles. But other times, the work isn't polished enough and can look quite amateur. 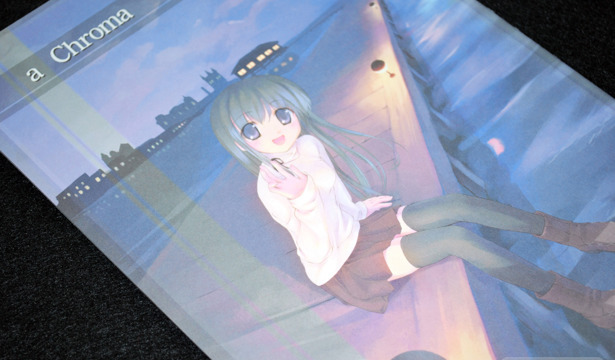 I'm please to say though, that Takoyaki's doujinshi releases, new and old haven't disappointed. 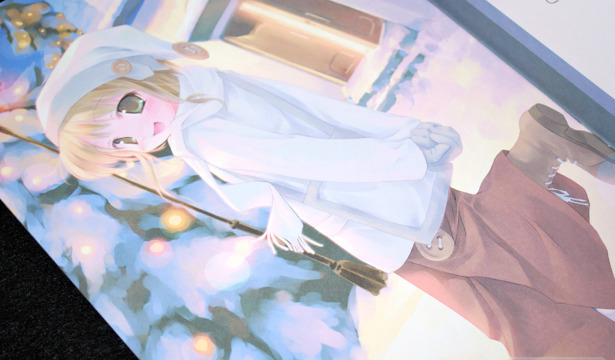 a Chroma first came out during the winter 2005 Comiket 69.